Honest genuine feedback is used by us to refine and upgrade our service standards. As part of our service, we always ask customers for their feedback when a job is completed. 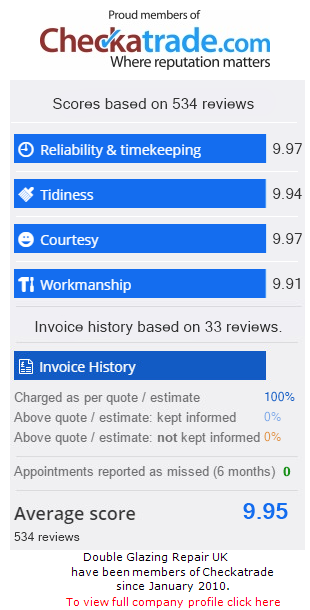 This feedback has been given to us from our customers all over the Southampton area and it is used by Double Glazing Repair UK to ensure that our customer services is constantly monitored and our services adjusted to make sure that we are offering the best service possible. These customer statements are 100% genuine customer statements and references can be provided where ever necessary. Once again Iain was his very professional self with outstanding courtesy and workmanship. My wife has arthritis and he took extra care to ensure she could operate the door before finishing. I would ask him to do any future work for us without hesitation. Very commendable, very knowledgeable, due to security fault later that evening. He came next morning and fixed it. Ian provided a prompt and excellent service. As before, Iain was his usual efficient, faultless self. The work was done quickly and without any mess. His manner was excellent, friendly and very professional. I intend to use his service again for any future work. Thank you for the feedback guys, we really appreciate it!